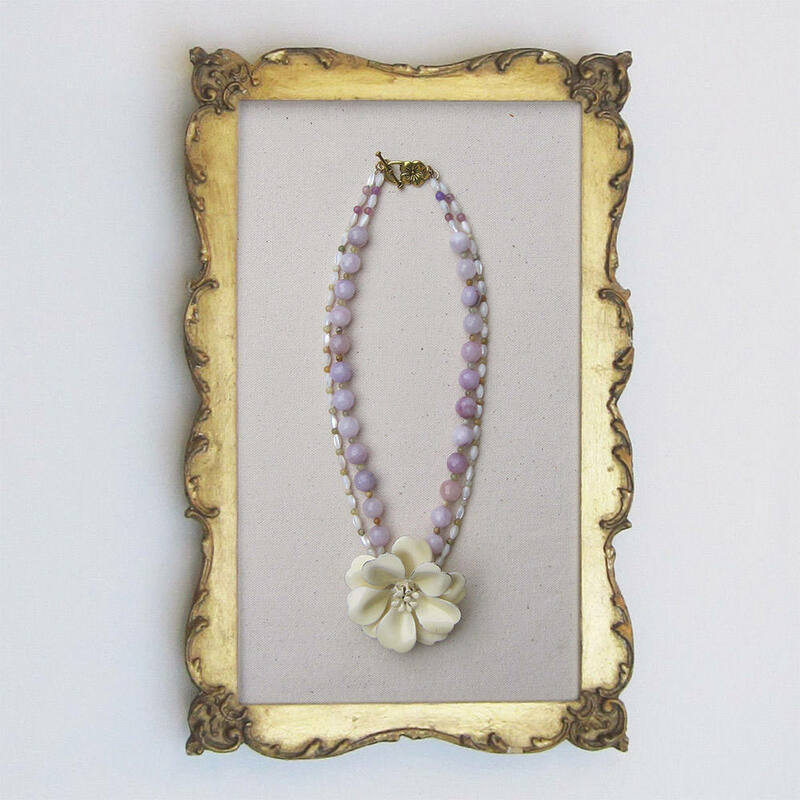 Oversized cream bloom is complemented by lavender stone and pearlescent glass beads. Vintage brooch may show some signs of age, but then don’t we all? 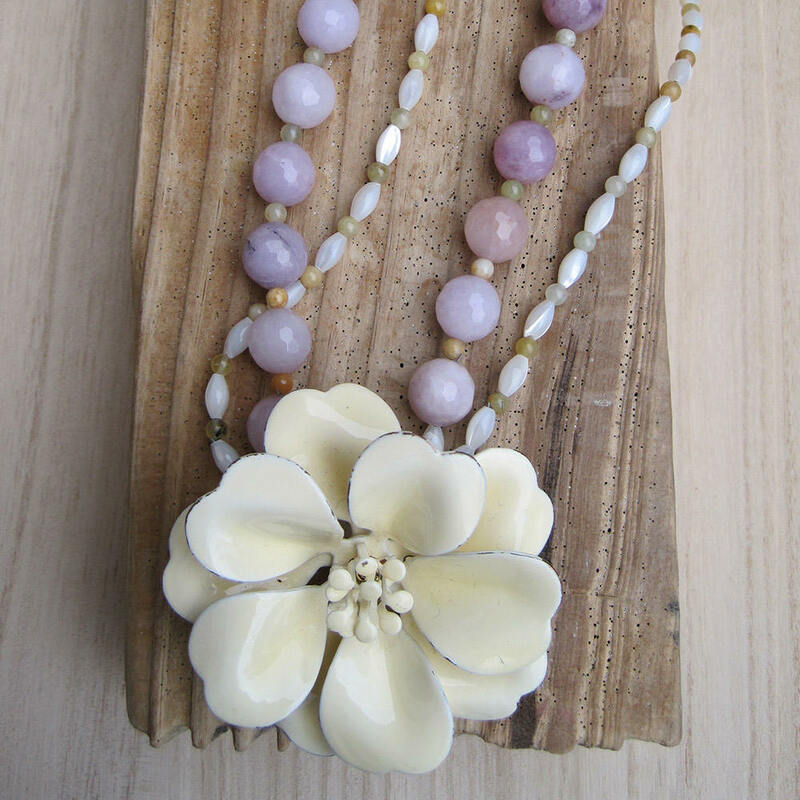 Length is 16 inches, brooch measures 2.25 inches in diameter.